This is a Beautiful Tropical community of luxury estate style homes. If you need more information about Estero Palms 33928, or other Estero Real Estate, feel free to Contact Shellstar Realty. Our Realtors Have several years experience and can help you obtain the best price on your real estate purchase! Your dream home can be located in the beauitiful 32 luxurious estate style homes located in this community. 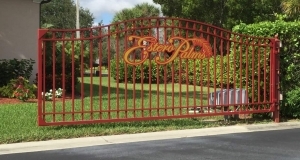 The neighborhood is on 10+ acres, and located in this gated community. Due to the wonderful location is next to a community center. You will then have access to a numerous recreational amenities, without the added expense associated with purchasing a home in some communities. The Estero Community Center which is located next to Estero Palms offers a recreation center, picnic areas, running trails, lakes, volleyball, playgrounds, soccer, and an outdoor stage. You can also wander through the adjacent nature preserves. Estero Palms, Estero Florida – Easy to use and Up to Date MLS search!